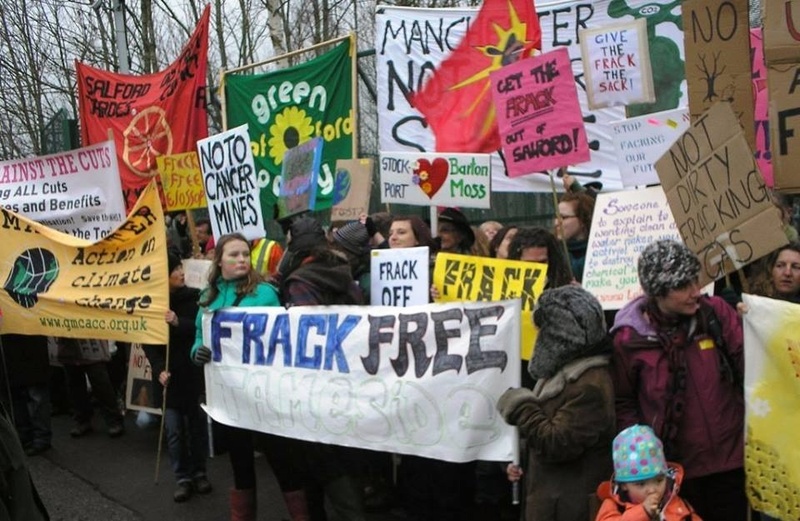 Anti- fracking protestors have marched in Salford as they try to stop exploratory drilling for shale gas. The energy company I-Gas has been testing a site at Barton Moss since last year. But campaigners and some local residents say they’re opposed to what’s happening. This entry was posted in Energy, Environment, Fracking. Bookmark the permalink.